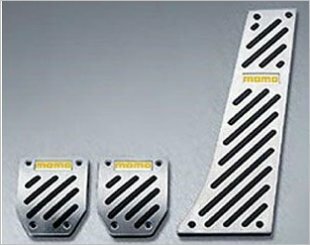 An automobile has up to three pedals, depending on the transmission type of the vehicle. The left pedal is usually the clutch or the foot-operated handbrake for recent automatic cars. The middle pedal is for the brakes while the right is the accelerator pedal. 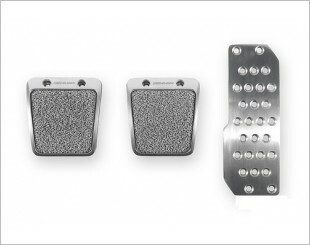 For a more precisive feel, you can install aftermarket pedal covers. 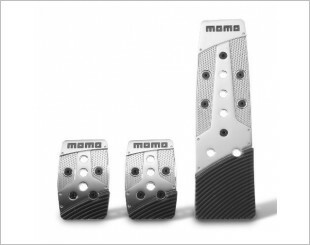 Most of these pedal covers are designed for both performance and aesthetics made from lightweight aluminium with raised grip sections for greater control during driving. 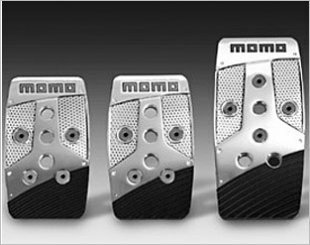 In certain cases, aftermarket pedal covers can benefit some cars and small foot sizes by bringing the edges of the pedals closer together and by changing the height between the pedals. 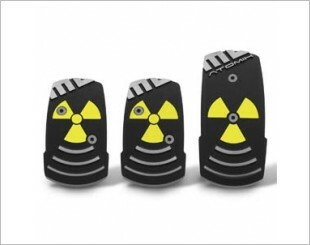 With all 3 pedals featuring the "Radioactive" symbol, it adds attitude and fun to your car. 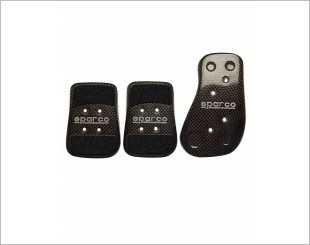 Comes with aluminium body featuring raised grip sections as well as hub kit and fitting instructions. Made from lightweight aluminium with raised aluminium grips and comes with fitting kit and instructions. Includes gas, brake and clutch pedals. Comes in powder coated cast aluminum with diamond cut grips. Comes with fitting kit and instructions. 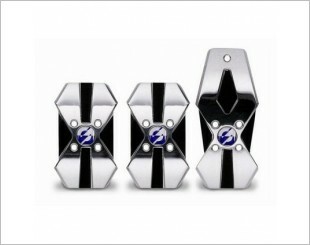 Includes finishes such as high gloss, durable chrome or raw machined aluminum. Includes all necessary mounting hardware, fixing screws and nuts as well as inserted rubber base. 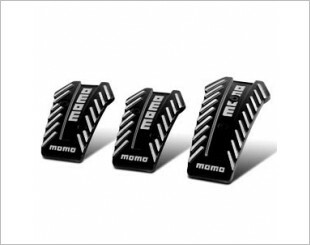 Aluminium body featuring raised grip section at the base of the pedal and a MOMO logo at the top of the pedal. 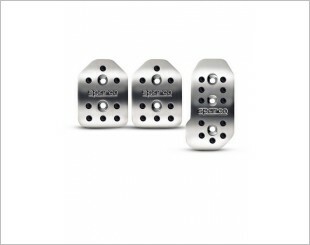 This pedal set has a luxury nickel finish, rubber inserts as well as double airmetal grid. Comes with fixing screws and nuts, rubber base grips and all the mounting hardware. 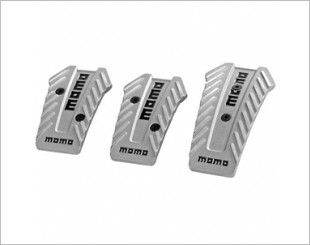 Consists of nickel chrome and aluminium construction to increase grip and sports operation. 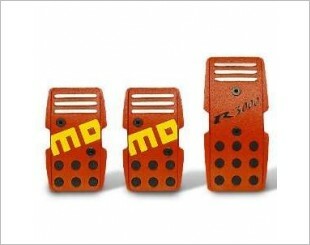 Comes with mounting hardware, gas, brake, and clutch pedal covers. 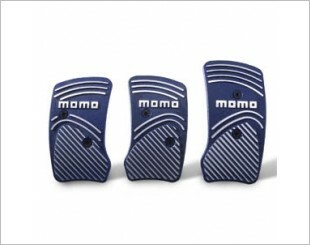 Made of aluminium construction and has high grip inserts for safe and precise pedal control.